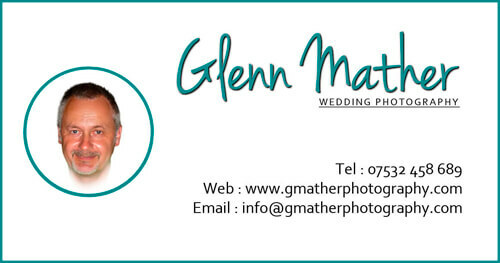 Based in Nottinghamshire with a passion for photography going back much further than I care to remember and years of experience to draw on, I can promise you wonderful photographic memories of your special day. My style is relaxed, not pushy, natural not too posed, I love to blend into the background to allow me to get those wonderful natural looking shots of people celebrating your special day, without feeling they are on a photo shoot!! Not only have I years of experience to draw upon, but have also studied Photography at Nottingham’s Castle College and more recently at Derby University; including studies of portrait and digital photography techniques and post production editing. Whilst I started my photographic adventure using colour and black & white film, these days I primarily use high quality, full frame Canon digital equipment including the superb 5d Mark IV, and Canon's flagship "L" series Lenes, to ensure you receive finished images of the highest technical standard. By using low emission vehicles I aim to be as friendly to the environment as possible, use local suppliers where possible and mostly working in the local area of Nottingham, Derby and the East Midlands. I pride myself in providing professional wedding photography services with beautiful images and albums, all at sensible investment levels. My philosophy is simple - this is your wedding NOT my photo shoot - so on the day whatever you want is what you get, you're in control. It would be my pleasure to be a part of your special day and I know you won't be disappointed, but don't just take my word for it, why not check the client reviews page, with comments and feedback from real bride and grooms!